When it comes to toys, I know how important it is that that they not come with 1000 pieces. My MIL, who is amazing, just recently purchased a block puzzle for my son with 75 pieces. She told him that once he masters this one she will get him the 400 piece version. My daughter recently turned one year old. Our friends and family were kindly asking me what she would like for her birthday. 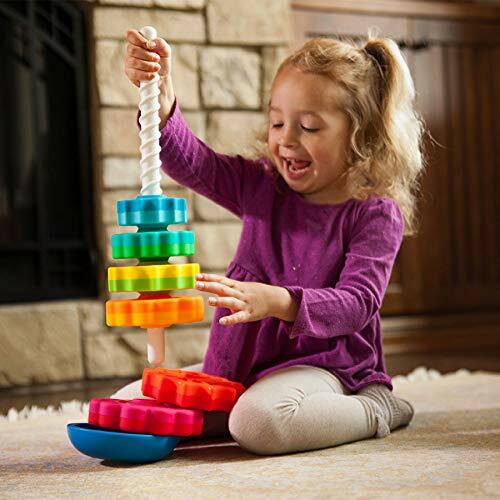 I was constantly trying to think of mess-free toys or toys that had only a few pieces to them. My least favorite kids toys are ones with many parts that are not the same in nature. It is so easy to lose parts like that. When I end up cleaning, I often have a bag dedicated to “MISC PARTS”. It is usually filled with odds and ends from all sort of toys. 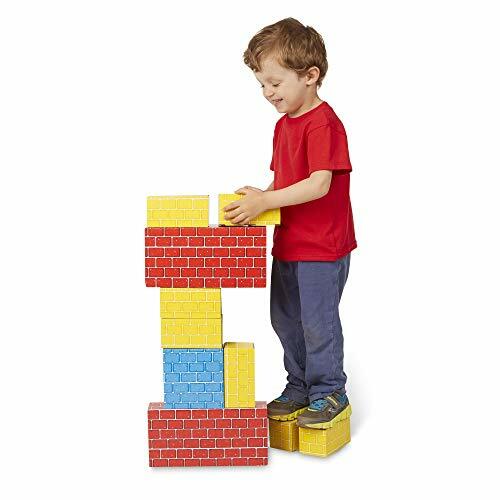 After a ton of experience with kid’s toys, the following are my favorite toys for boys and girls that are mess-free or have few parts. 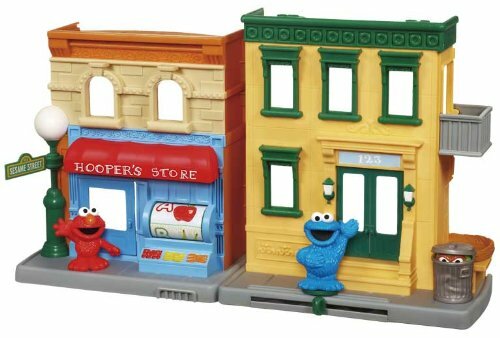 And if they have counting pieces, the pieces are easy to keep with the toy. The parent will thank you for these toys as well! This ride-on toy has a been a favorite in our house for three years now. My son got it as a gift for his first birthday, and he still loves it at age three. My daughter, who is now one, is starting to LOVE this toy. She is just starting to learn how to make it “go” on it’s own. Best thing is - it is one piece. No extras. And it does not have a large footprint. Overall, I give this toy an A+ rating! This one piece toy will make the parents of this child soooooo happy. And since it’s a microscope, they will feel all smart and science-y as well. 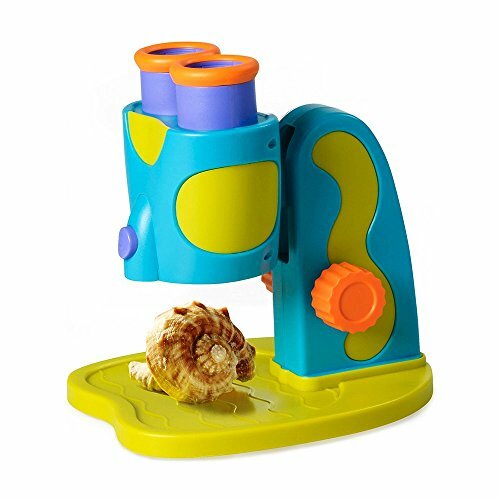 This microscope is truly perfect for a one-year old. They can put any of the tiny MISC parts from their other toys underneath the lens for analysis. Calling all future techies! This laptop has moving parts (that do not detach!) along with flashing lights and songs. This laptop has it all. So much so that my one year old daughter and three year old son are constantly fighting over it. 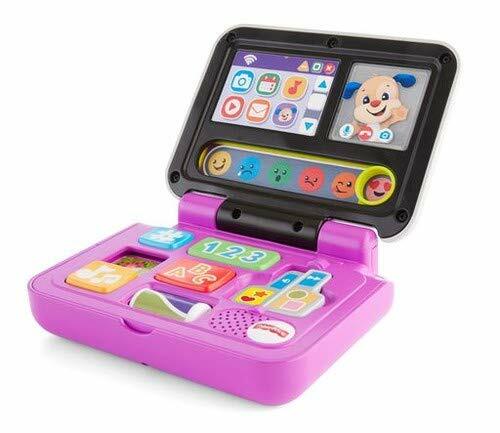 It’s super cute, one piece, and the babies love to push the buttons. This toy is da bomb. It’s one of my favorites. 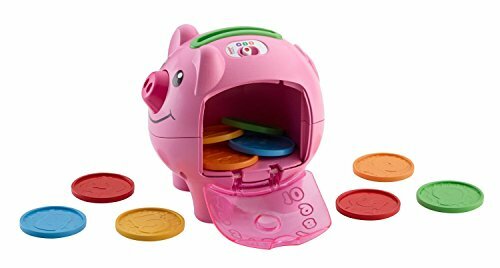 My daughter loves to push the coins down into the bank. The coins are large enough so they do not easily get lost. This is one of the toys that occupies my daughter for the longest, and it is too cute for words to watch! Today we painted with real paint. It’s how I created the image for my Pinterest photo in this pic. We made a MESS. And ruined one pair of nice pants. It was not cool. 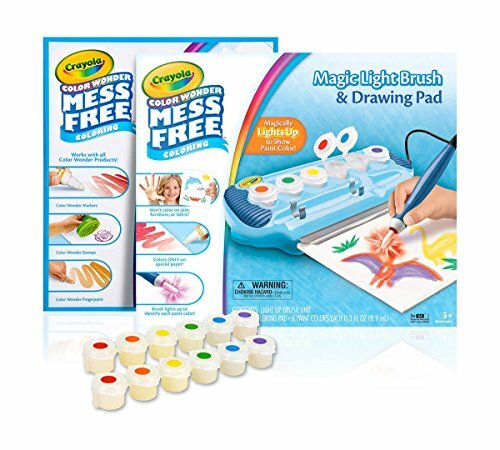 However, this paint set truly is mess-free. 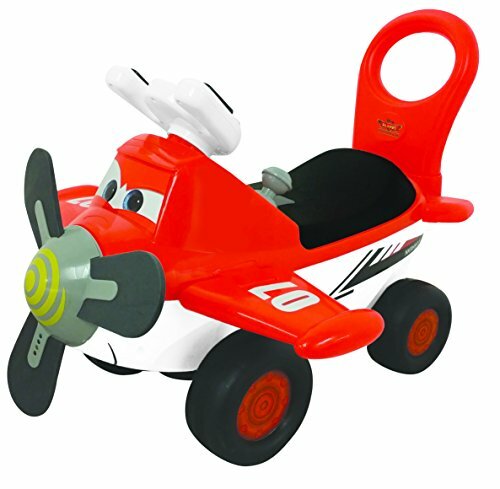 This is for kids 3+, so this would be a great older sibling toddler gift to bring along to a first birthday party. Plus, when your one year old sticker her finger in this mess-free paint, you won’t be having too major of a freak-out. We got so lucky with this one - it was given to us by a friend. It is TRULY a favorite of both of our kids. It folds shut, and is constantly full of paw patrol guys, PJ Masks, and Sesame Street characters that were purchased separately. This house has traveled with us on every road trip. My daughter now LOVES to see it opened with. She can sit with it forever once opened. 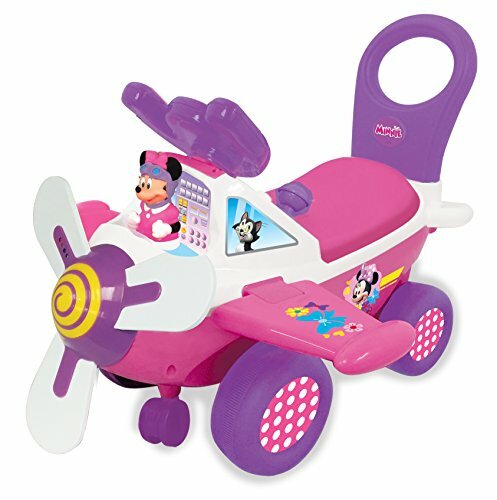 This is also a favorite toy of mine - it could be it’s nostalgic vibes! How fun is this? 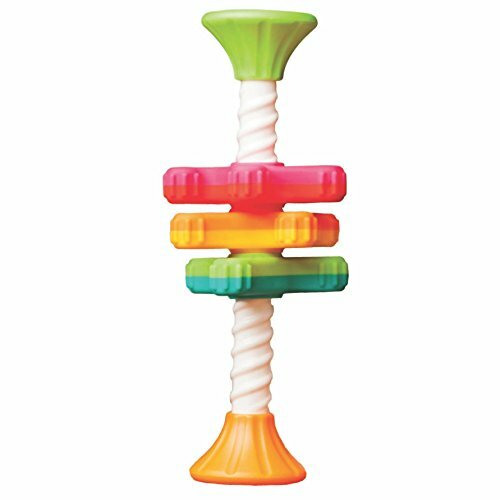 This ONE PIECE TOY provides hours of exploration fun for your baby. 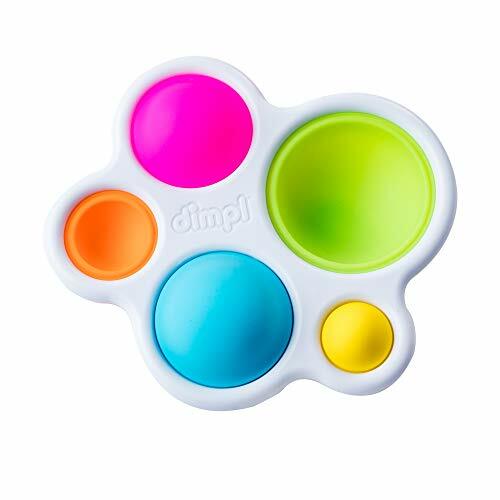 The soft silicon bubbles on this sensory toy can be pressed over and over and will captivate your baby. We have many block sets, but these are by far my favorite. They are played with the most in our home of all the block sets. I like how big they are - they are easy to clean up! And we still have all 24 blocks - two years after receiving this as a gift. Plus, these are a classic toy - they were around back when I was little. 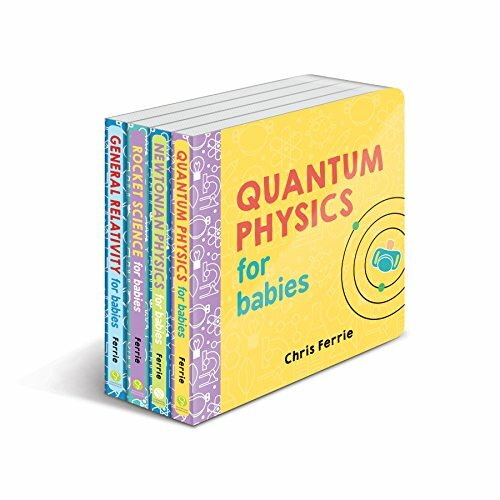 This book series for babies is fantastic! It’s a good refreshers for the parents as well, LOL! I caught her doing some early morning reading the other day, and of course, it was her baby genius books!